The fast changing paradigm of Bangladeshi electronic music is preparing for its transition. Dhaka’s potential as an EDM producing hub has been realised in a very short time through the help of Facebook groups uniting producers from bedrooms to studios. This small but growing community has one DJ already making waves internationally, regularly performing in his current hometown of Boston. On the other hand there are those who downloaded cheap and easily available software and are making great music in the comfort of their own home. A simple move to getting to know each other’s passionate existence for music has led to endless possibilities which none of us could have fathomed a year ago. While Dhaka-ites are still-hunting for “their sound”, the transition can only be pushed forward with the launch of music labels catering to the niches. Each city has had its own approach towards musical renaissance. For Dhaka I suppose it’s essential to departmentalize the artists to develop their skills further. Below, I will be talking about Dhaka’s new labels (one being my own project), and how they might affect the coming years of Dhaka and Bangladesh based electronic music. It is indeed an exciting time here. 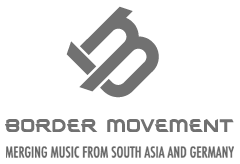 There are three labels exploring to make the EDM scene sustain in Dhaka. While it is possible to upload and release your music online, collective efforts always push the art further. These labels I talk of are Akāliko Records (focusing on electronica), Incursion Music’s Electro Records and Pulse. The concept behind ‘Akāliko Records’ is to cater to the electronica enthusiasts. It’s currently a net label with humble beginnings and will serve selected DES artists. Electro Records are backed by and is a sub-label of Incursion Music which is one of the region’s leading record labels. Incursion Music has successfully promoted underground rock and metal music artists into the event and mainstream scene allowing wider options for listeners. It’s a great sign that traditional labels are seeing the future of electronic music in Dhaka. Since it wants to reach out to a wider audience, they are dealing with more familiar and global EDM styles. The third one is ‘Pulse’ which would also cater to the EDM circuit. Some of the artists under Akāliko are Space/Ghost, Fahad Zaman, Big Machete and The B Regiment – all unique priducers. Big banner ‘Electro Records’, on the opposite end of the spectrum, re-introduced the likes of Fuad Al-Muqtadir, a big name in mainstream pop music of Bangladesh yet with a decade long past of electronic music. The Pulse roster is still under processing. The success of many Indian electronic record labels should be a precedent for us as now the Indian scene has started to compete globally, churning out extremely well made productions. For Dhaka-ites and associates there is no need to hurry, it is still important to organically bring out a unifying element, which can represent Dhaka’s true sound. It’s quite idealistic but the objective itself would be to lead towards further integration and knowledge-sharing amongst artists. It is also important to follow up on how this label adopts modern music business strategies. Traditional Bangladeshi record labels have been corrupt, pretty much like our government and if Transparency International made an index of countries for the most inefficient record label business, we will still top the charts. Initiatives like Saddam Azad’s DugDugi and Armeen Musa’s ME Label will help modernize the music business gradually. Both of these projects lets people listen to music for free, whilst the artists were paid royalties. Physical distribution will soon be completely obsolete in a developing country like Bangladesh, at least in the cities. Currently releases are priced from Tk. 60 to Tk. 100 per CD and most artists feel lucky if they can make Tk. 10 (0.125 USD) for each copy released. There is not any way to keep track of the releases and labels take the opportunity to exploit upcoming artists. Besides the very few commercially successful (who always gets a deal for a release), most artists lose money. Transparency would be the key word for modern record labels to prosper and keep the artistry alive.